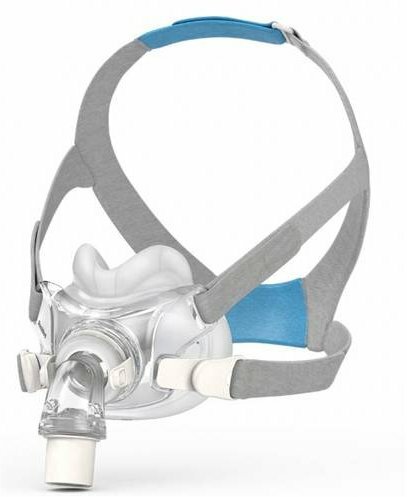 The ResMed AirFit™ F30 Full Face CPAP Mask Assembly Kit includes the mask frame and cushion only and does not include the headgear. Assembly Kits are a way to refresh your mask without having to purchase the full mask. The AirFit™ F30 represents the next-generation in full face mask technology by ResMed. Clever, thoughtful design allows for the interface to cover the mouth while creating a gentle seal just below the nostrils. The compact soft cushion makes no contact with the bridge of the nose, which helps reduces red marks and skin irritation and creates a more comfortable experience for the user. It's also ideal for those who where glasses and/or want a wide, full visual plane, to read, or watch TV before sleep. Not since the Quattro Full Face Mask has ResMed designed a full face mask with a forehead stabilizer piece. The ResMed AirFit™ F30 Full Face Mask as well as the F20, eliminates the need of a forehead contact entirely. By securing the mask in place at four lower points on the mask frame, and adding a strap for stability at the top of the head, the newer generation ResMed masks have all but eliminated any obstructed view, while wearing their masks. The F30 was designed with a minimal compact cushion in mind - this offers an impressive improvement in field or breadth of vision, with virtually no obstruction. 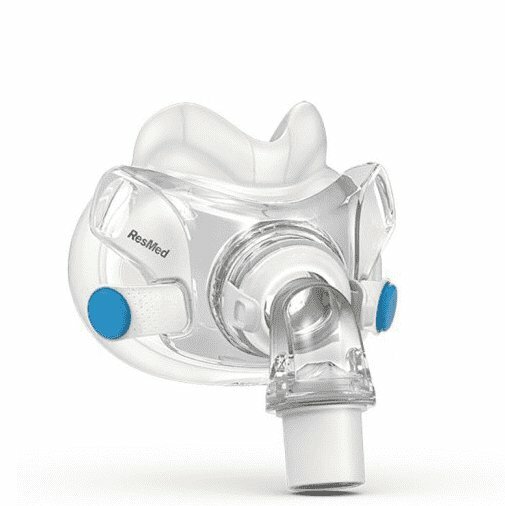 ResMed's tried-and-true QuietAir Elbow has been a staple component in many of the newer generation CPAP masks. 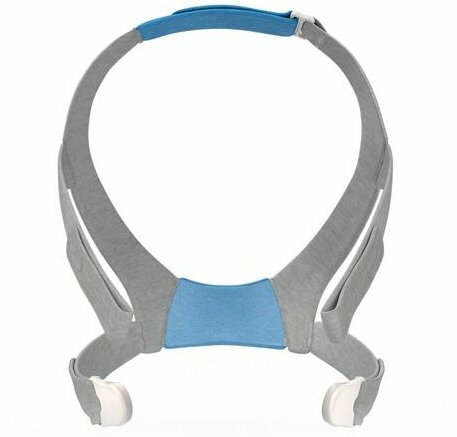 The QuietAir Elbow diffuses noise better than virtually any other CPAP Mask on the market, dispersing exhaled air over a broader area, reducing overall turbulence. Minimalist Design, soft silicone materials makes this a superior interface, providing a small profile, and optimal seal. The ResMed AirFit F30 Full Face Mask is equipped with Headgear is equipped with a 360-degree swivel elbow. The mask is designed for anyone who is likes a wide range of vision while using the mask. Copyright © 2019 SecondwindCPAP LLC. All Rights Reserved. YOUR Used CPAP Specialists!